The book is hardly in pristine condition any more but I remember those nights vividly. It opened with jokes displayed on a light-board to warm up the audience. 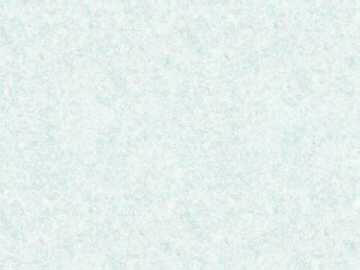 Such as "would the owner of car registration number DRT 145376542675487ERFTH6547 please move it. The car's O.K. but the number plate is blocking traffic". The audience was in such a good mood they would have laughed at anything! The curtains then opened on a mock-up of Victoria underground station. A train pulled in, the doors opened and the cast stepped out to thunderous applause. After that it was non-stop laughter. It was plain to see that this hadn’t been just “thrown together” just to cash in on their popularity. This was a well thought out, well executed performance by all involved. The dancers were good (although how they didn’t catch pneumonia is a mystery to me). The support acts were tolerated but it was very clear who we had all come to see. I went round to the stage door afterwards just hoping to see any of them. 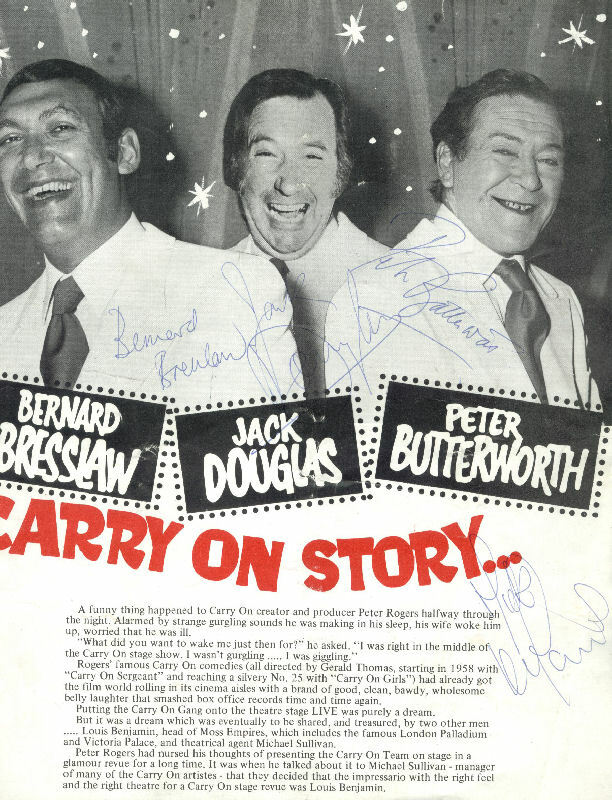 Peter Butterworth and Jack Douglas were the first out, chatting to everybody and happy to sign autographs. Next was Barbara Windsor with quite an entourage. One of which was a wrestler very famous at the time named Mick McManus. (that’s his autograph at the bottom of the page. It seemed rude not to ask him.) The one person who impressed me the most was Bernard Bresslaw. He came out smiling and joking with everybody. There were parties of OAPs in buses and he went aboard every one of them going down all the rows of seats chatting to everybody. He was an imposing man, standing I would think at about 6 feet 6 or 7 inches and very broad, dressed in a big overcoat that made him look even larger than life. But then he’d look at you with a smile bigger than his face and you could see that this was a genuine, kind man who was only ready to leave once he was sure that nobody else wanted an autograph or photo. The following night I realized why I had missed Kenneth Connor. He had waited until Bernard Bresslaw came out of the stage door then slipped out himself. With a hat pulled down over his eyes and the collar of his overcoat turned up nobody even noticed him. He did the same on this night, I waited until he had turned the corner then I ran up to him and asked him if he would sign my book. He was grateful that I hadn’t said anything in front of everyone and he gave me his autograph. 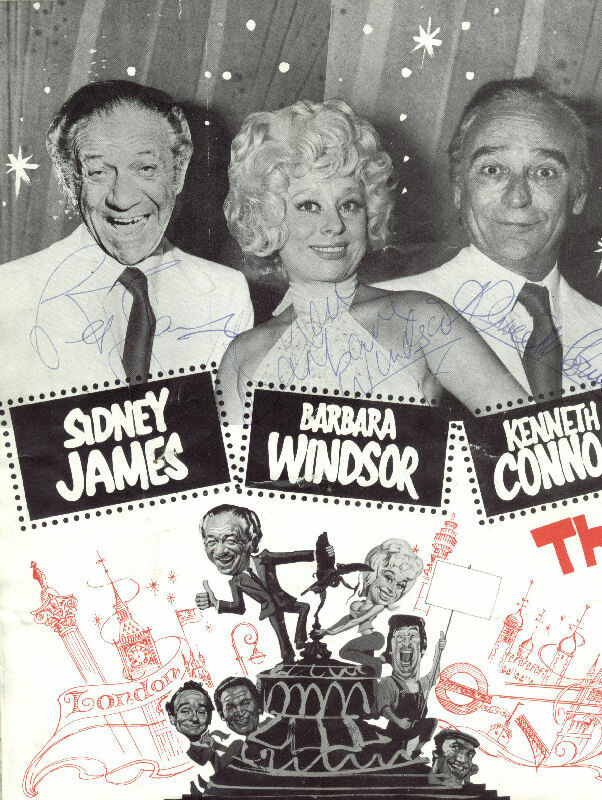 He also told me that if I wanted Sid James’s signature I’d have to be outside sooner as he was always the first to leave. On my last night there I left the theatre before the national anthem (a terrible crime!) hurried round to the stage door and saw a dark green Jaguar complete with chauffeur waiting there. 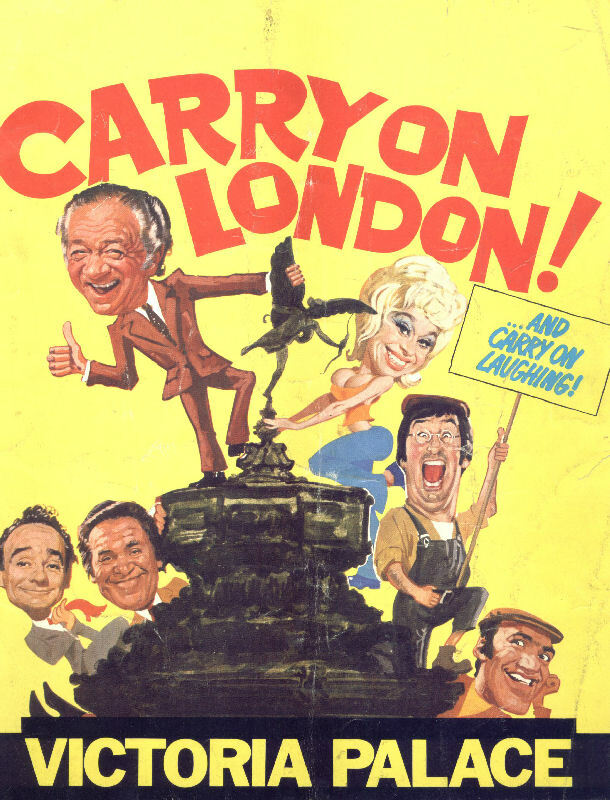 Sid James came dashing out and nearly fell over me! I asked if he would sign my programme and he said “I don’t usually, but seeing as you’ve got all the others….. I’ll do yours but I don’t want to get caught” with that he autographed my book and dived into the car just as a large group of people came round the corner. I remember him waving to me as the car sped off.